It’s picnic season, otherwise known as play hooky and get thee to a patch of grass. With or without companions. A book will do fine. Bring a tablecloth. Grass is only charming for toddlers, golfers and romantic comedy screenwriters. Pack ice packs to keep food cool. Nothing kills a picnic quicker than lukewarm food. There is no such thing as standard picnic fare. Think beyond sandwiches. Crab salad, sushi, cold chicken, tomato salad, marinated veggie and goat cheese baguettes: be creative. Don’t forget cold drinks. Lemonade is a clincher. Pack extra napkins, wipes, straws, utensils. A sharp knife comes in handy and no, it’s not for stabbing ants. Always bring a surprise treat. Eating outside is just peachy. 1. Preheat oven to 350 degrees F for at least 15 minutes. 2. 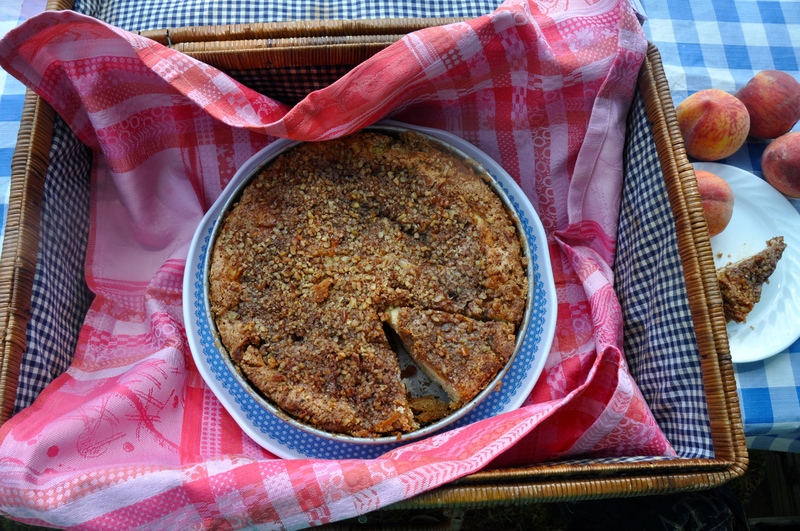 Grease a 9-inch square baking pan. 3. Beat butter and sugar for 5 minutes in mixer until fluffy. 4. Add eggs, one at time, beating well after each. 5. Add sour cream and vanilla and mix until smooth. 6. In separate bowl, sift together flour, baking soda and baking powder. 7. Add dry ingredients to batter, blending just until combined. 8. Make topping: combine 1/2 cup sugar and 1 tsp cinnamon in small bowl. 9. Spread half the cake batter in prepared pan. 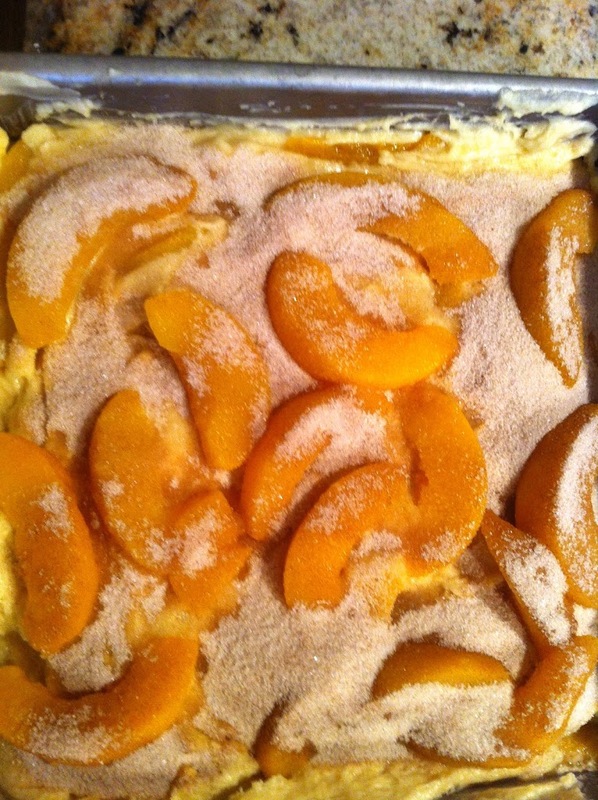 Top with half of the sliced peaches, then sprinkle with 2/3 of sugar topping. 10. 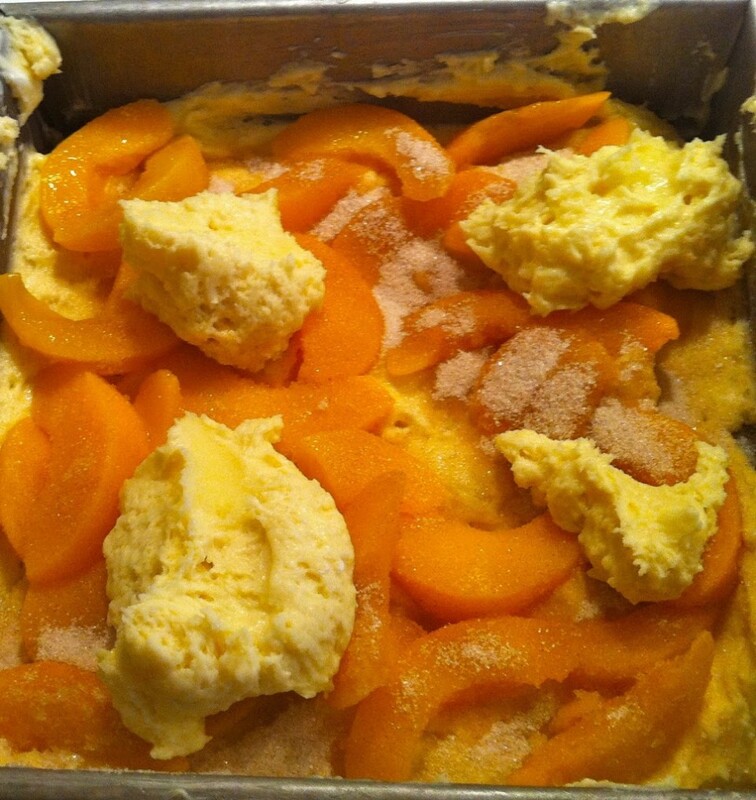 Spread the remaining batter on top then arrange the remaining peaches on top and sprinkle with remaining sugar topping. 11.Top with toasted pecans ( optional). 12. Bake for 45 minutes until toothpick in centre comes out clean. 13. 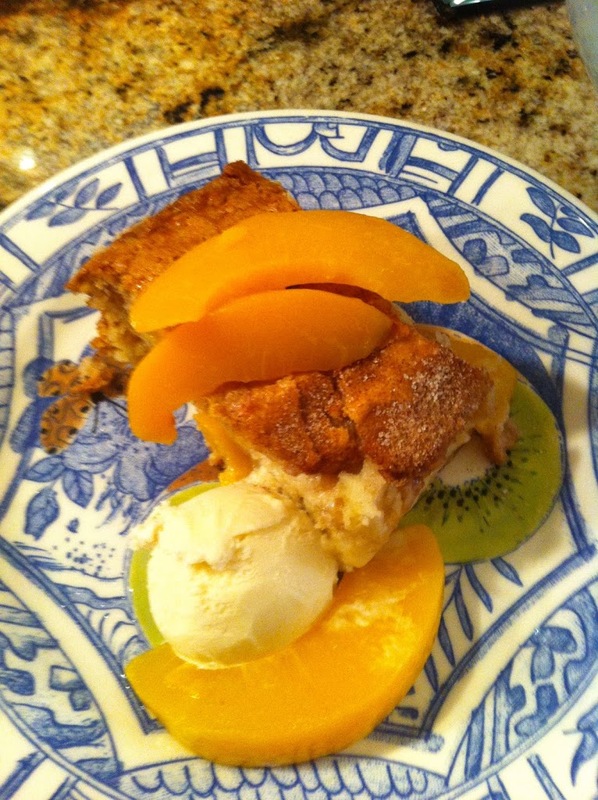 Serve warm with dollop of good vanilla ice cream. Serve at room temperature at your next picnic. Canadian picnic season is short. What are you waiting for? 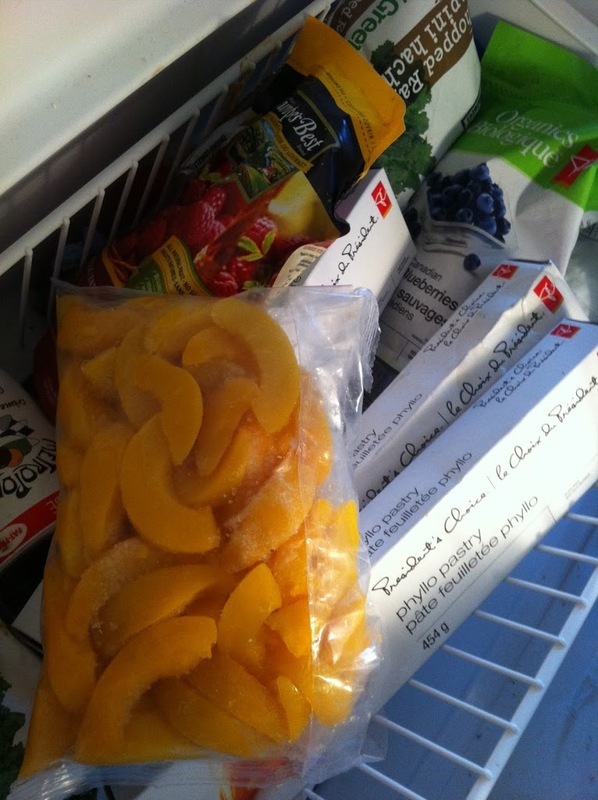 * Fresh peaches are not in season here in our Canadian spring but I keep mine in the freezer, sliced and flash frozen in ziploc bags.